Gap insurance helps to protect you against the difference between what your car is worth, and what you owe on your car loan. While not everyone needs it, having this coverage may help save you thousands in out of pocket expenses in the event of the total loss of a recently purchased car. Gap insurance is usually offered as an add-on to your auto insurance policy, but it may also be offered as a stand-alone plan, particularly at the dealer. Before you start shopping for gap insurance, make sure you need it – some car insurance policies automatically include new car replacement on cars within a certain age, or the protection may be built into your lease agreement. Gap insurance is essentially a plan that will pay the difference between what your car is worth on an actual cash value basis, and what you still owe on the loan. It is usually only needed on new cars that see fast depreciation, especially if you have not put much of a down payment on the loan. Since most insurance companies operate on an actual cash value basis when paying out a claim, you may find yourself owing thousands of dollars to your lender in a total loss or theft situation. For example – you buy a brand-new car for $30,000 and put down $1,000. Your loan amount will be $29,000, plus any fees that might have been rolled into the loan. That loan starts charging interest right away, so your payments are not all going towards the balance, and what you owe is not going down quickly. Now imagine that car is totaled a month after you buy it. New cars depreciate about 11 % right after purchase. Even going with a 10% depreciation, your $30,000 car is now worth $27,000. You have barely made your first payment on that $29,000+ loan. Your car insurance company pays the actual cash value of $27,000 (minus your deductible), and you owe that extra $2,000. Gap insurance is there to pay that amount. As mentioned above, you should always check with your insurance company before you buy any sort of gap insurance, as it may already be a part of your policy. Since there are three ways to purchase gap insurance, we first tried to narrow our focus down to companies that offer it as a stand-alone policy. As previously mentioned, many auto insurance companies do offer gap insurance, but it is only available if you have your car insurance with that company. There are also some companies that offer it only if you finance through them. Our initial approach was to look for options that did not require the car buyer to change insurance companies or lenders. However, through our research it became evident that this really is the best option to purchase gap coverage. While we came across the odd stand-alone gap insurance provider, we were unable to find a single company that had a reputation solid enough to meet our standards. As a result, we offered top picks that will require you to select the company either as your insurance provider or as your lender. We will get deeper into why this is the way to go in our section on shopping for gap insurance below. All of our choices have a good reputation for providing a great value in car insurance, and a very solid financial backing as well. The goal was to choose the best overall value for the gap insurance in addition to that company’s insurance and loan product offerings. Each of these choices offers a cost-effective method of getting gap insurance on your new car, with options for each method of buying gap insurance. 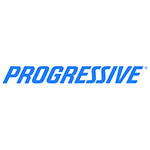 Progressive recently became the third largest car insurance company in the United States, pushing Allstate out of the top three. Their offering a wide variety of coverage at a good price is a big part of why. Progressive auto insurance customers can add loan/lease payoff coverage for about $5 a month, making it a very affordable option from a company that already ranks among the cheaper car insurers. Progressive’s plan pays up to 25% above the actual cash value of your vehicle in the event of a total loss. It is not a guaranteed payoff of the loan amount, but it’s solid protection for a great price. This option makes shopping your insurance at Progressive before you buy a new car a great idea if you need gap insurance. AAA offers gap insurance both through its auto financing department, as well as to insurance policyholders (this may vary by state). Two options for obtaining the coverage you need means you may not have to switch auto insurance if you choose to finance through AAA. The AAA website lists an average price of $395 (flat rate) for gap coverage included with a loan. AAA membership is required to use their services, and that comes with a fee. However, AAA membership also comes with a lot of benefits – including access to gap coverage – as well as good insurance rates and a solid reputation. The biggest auto insurance company in America, State Farm offers their Payoff Protector car insurance in two ways. Like AAA, they have an auto lending service, and Payoff Protector is included with every loan. It is also offered to their auto insurance customers. State Farm is not the least expensive option for car insurance, but they have a great reputation. This may be why more people insure with them than any other company in the country. Due to the fact that they also offer gap coverage to loan customers, even if they do not insure with State Farm, they rank in our top three. Gap insurance may not even be on your radar until you are negotiating the purchase of a new car. It is then that the dealer will try to convince you to roll it into your loan – but this is the most expensive method of buying gap insurance, and most financial experts will recommend against it. Not only will you pay a high flat rate amount for the coverage, you’ll pay interest if you roll it into the loan. The first thing to determine is whether or not you really need gap insurance. If you’re paying a good sized down payment on your car, or dropping the loan amount with a trade-in, you may not need it. Take a look at what you owe on your car as of signing versus how much it will depreciate in the coming years in order to help you make that decision. If you feel more comfortable having gap insurance, then the absolute best way to get it is to shop your insurance around. Several companies offer this coverage either as an add-on or as part of certain policies – enough companies that your odds of finding a great deal on your car insurance overall are pretty good. If changing car insurance companies is not something that interests you, the next thing to consider is shopping your loan around. A lot of lenders offer this coverage, including those we mentioned above as well as many credit unions. In some cases, there is no additional cost – it is just part of the deal. Just make sure you’re not taking a higher interest rate in return for this coverage, as that will cost you in the long run. Gap insurance can be a real money maker for the dealerships and the companies they work with to sell it, and not always to the benefit of the car buyer. Instead of signing for gap insurance at the dealership, you may want to take the time to shop around. Buying a new car is a good time to get some insurance quotes, either way, so put the companies that do offer gap insurance at the top of your list and gather some quotes. Odds are good you will walk away with a good car insurance policy that also gives you loan payoff peace of mind. I declined the GAP insurance from the dealership when I leased my new vehicle, too expensive. My full coverage auto insurance is with State Farm, who doesn’t offer a GAP endorsement to their policyholders unless you finance through State Farm Bank and I leased not purchased. You mentioned buying gap insurance from a “dedicated GAP insurance company”, so who are these GAP insurance companies and which one is the best to buy from.